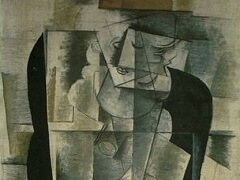 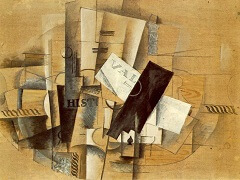 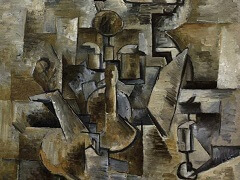 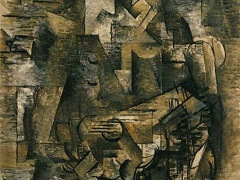 This is one of four paintings that Braque made at Carrières-Saint-Denis outside Paris in October 1909. 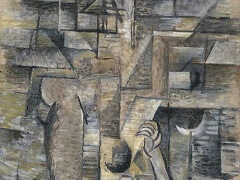 The town is clearly recognisable, but it has been reconstructed through a web of finely drawn lines and an insistent rhythm of linked planes. 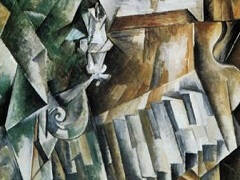 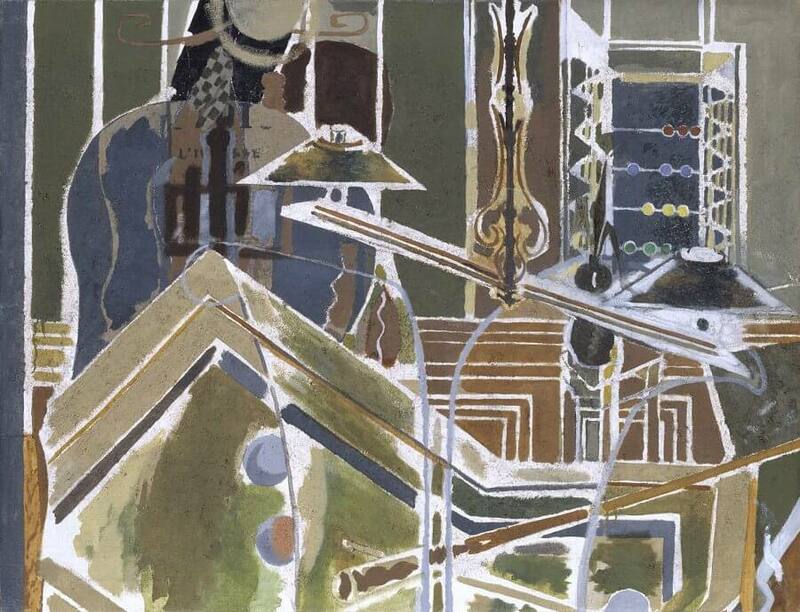 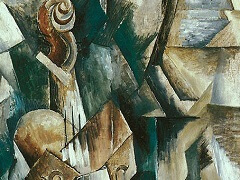 Braque's fluidity between these planes (which he described as 'passage') helped to emphasise the painted surface. 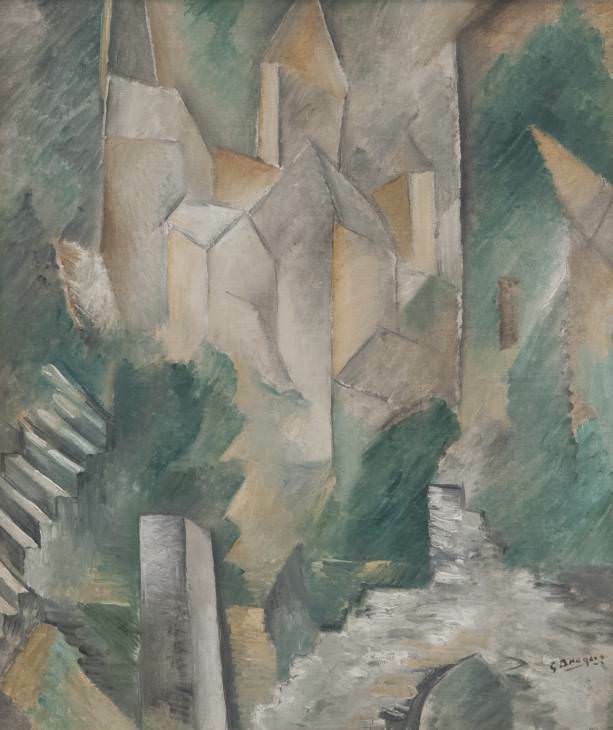 Such landscapes played a crucial role in Braque's development of cubism from the pictorial language of Paul Cezanne.